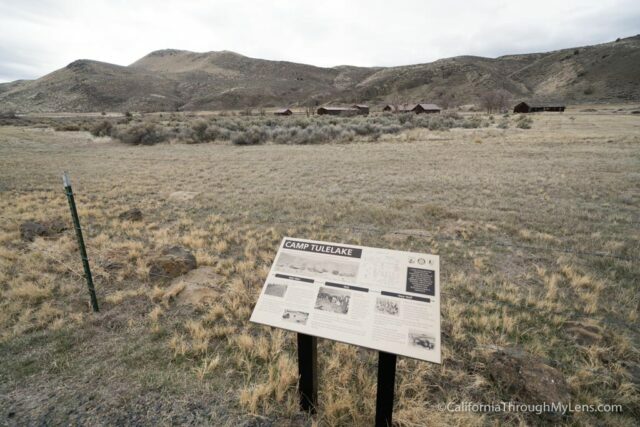 The Japanese Internment during World War Two is one of the many sad pieces of California’s past. 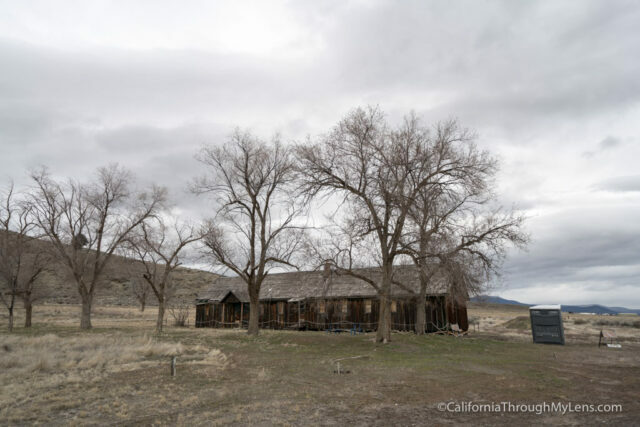 I first learned about it when I went to Manzanar on Highway 395 but I have wanted to go up to Tulelake and see the camp there as well. I finally got a chance to do that a little while back on a guided tour. The tour was lead by Angela who is the head guide at the visitors center, and she was full of information, making the two-hour tour an eventful and interesting one. Here is all the information. Call at least two weeks in advance if you want to set up a tour or you can do one when they are offered on Saturdays during the summer. 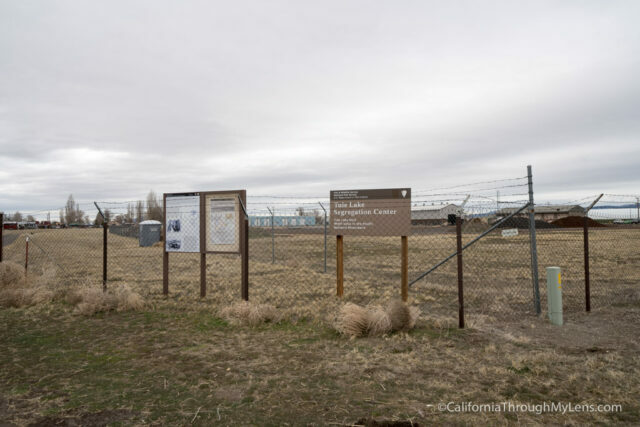 Camp Tulelake and the Segregation Center are the two pieces of this story, and they are located about 8 miles away from each other in the town of Tulelake. 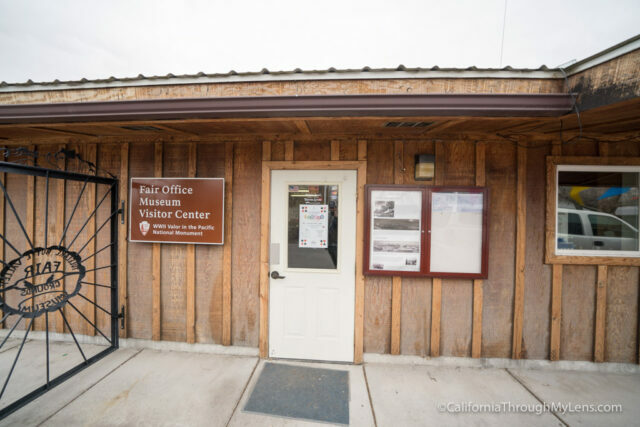 The museum and visitors center is in the middle of town, so getting there depends on what you are visiting, but most likely you will start at the visitors center. We met Angela there and set out to tour the Segregation Center first. 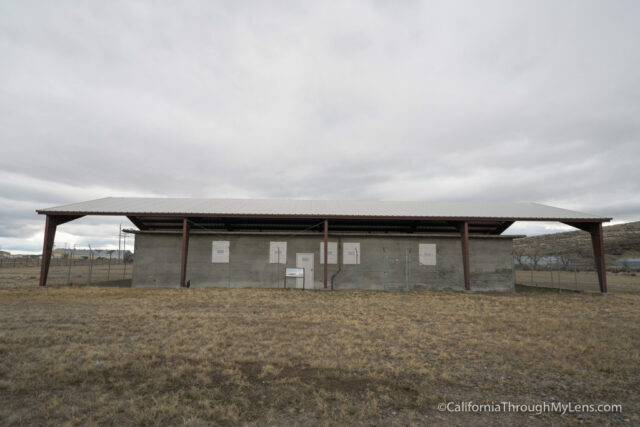 There is not a lot left of what once was a bustling community of over 18,000 people here, but through photographs, we were able to see how big it was. 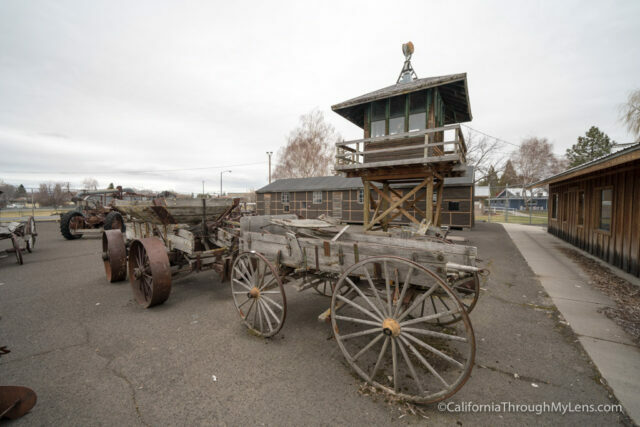 We then proceeded to one of the only remaining buildings, which was the old jail that was on the property. The jail was interesting to see as it held a lot of unique history from the time. 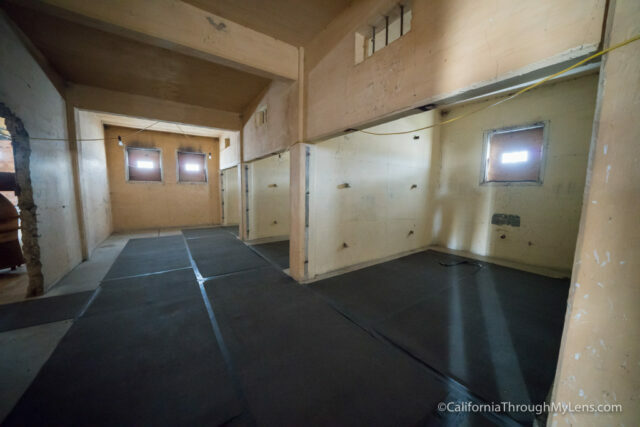 All of the cells had been removed, but the shell was intact, and they had plans to remake some of the cells with the original metal bars in the future. 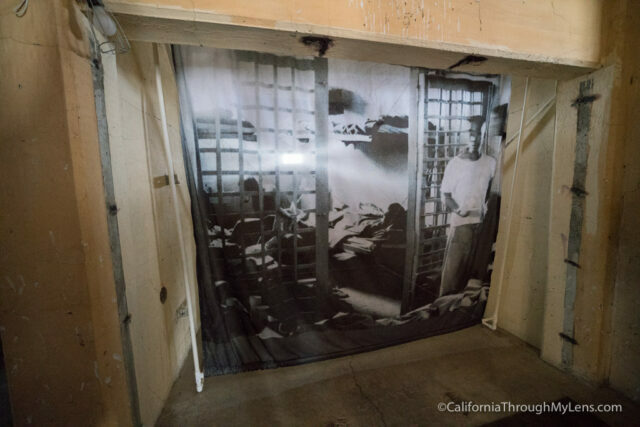 There was a photo that showed how it would have looked back when it was in use hanging in one of the cells. Angela also showed us some interesting graffiti that they had found on the walls with quotes from the people that occupied the cells. 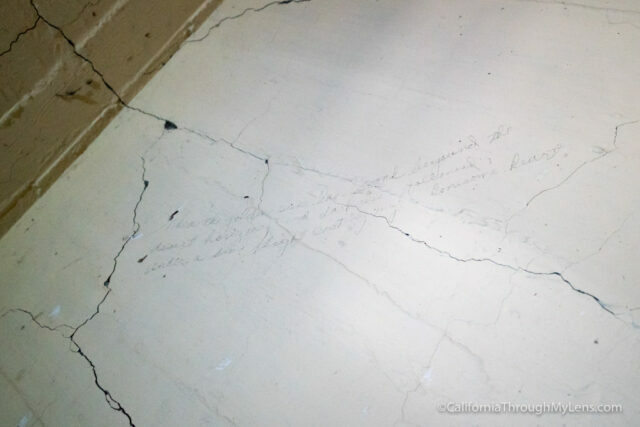 They also found Japanese writing on the walls, which they were able to trace back to someone who had been in the jail. It was interesting to hear all about the stories they had pieced together as well as information on how the jail was built. 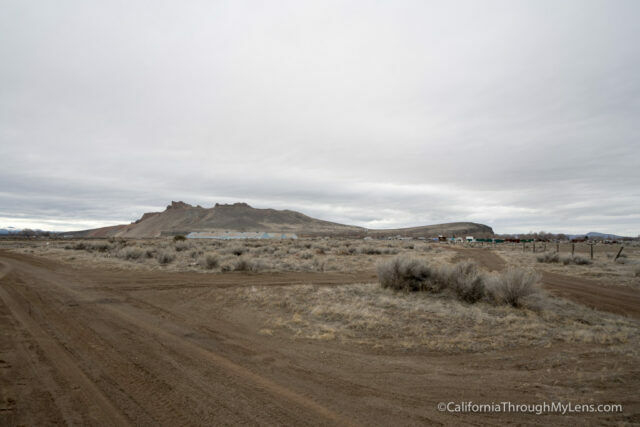 After about an hour in the jail, we headed over to Camp Tulelake. 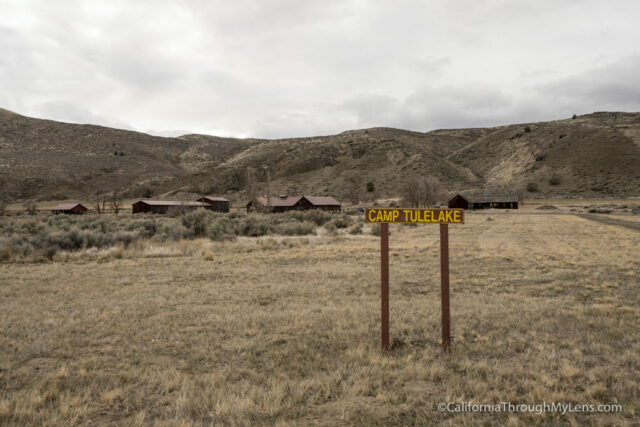 Camp Tulelake was located on the other side of town up against the hills. We proceeded through the gate and into the area where the buildings were. From there we took some time to look over the information plaques. 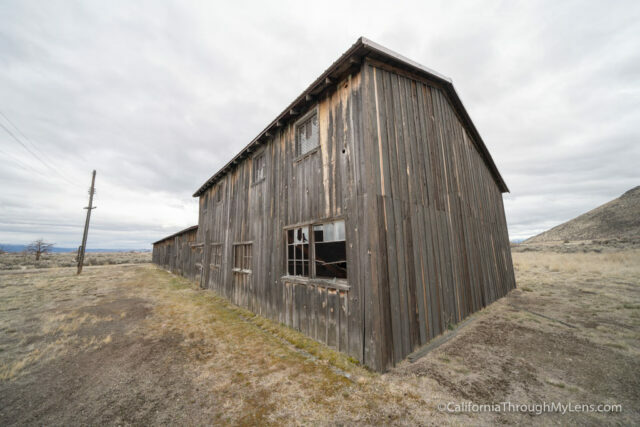 You can see this camp from afar on the way into Lava Beds National Monument if it’s not open, but you can’t go into where the buildings are unless you are on a tour. 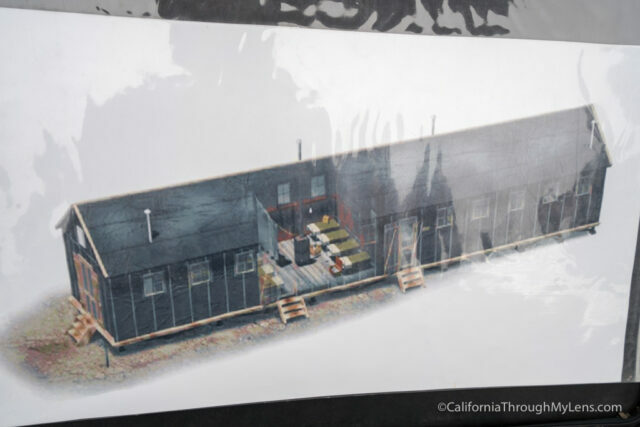 There is only one building that has anything in it currently, and they are trying to get a few of the other ones redone over the next few years. 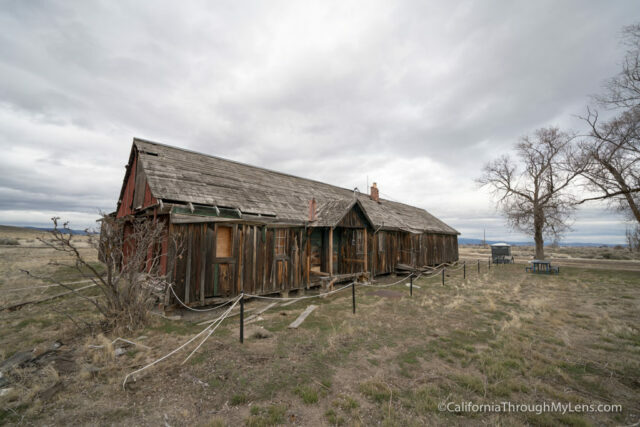 It was interesting to walk around the property and hear all the stories about the camp though as well as getting a chance to see all of the old buildings from outside. We were only here for about 30 minutes before the tour ended. Overall, I am happy I got to learn more about this part of history, and I am thankful that Angela was so knowledgeable and willing to remember these stories to share with the people that visit. 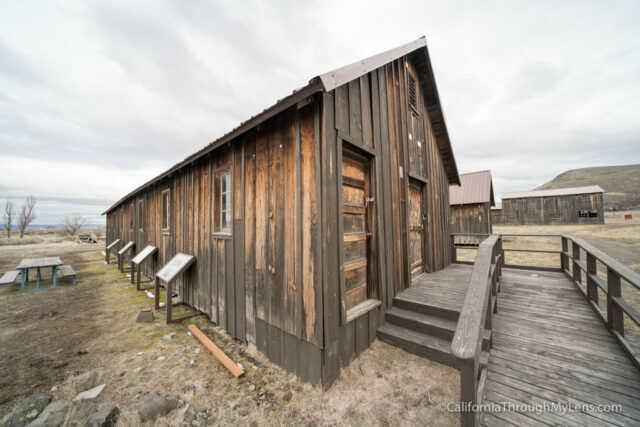 Check it out if you are in the Northern California area and want to learn more about the history.